The German translation of my book – ‘Rechnet Sich Das?’ – appeared on 25 August, so I’m keeping a note of media coverage, as and when I hear about it. Radio station WDR5 produced a short online review and a few minutes of broadcast discussion, which you can find here. The title says it all! 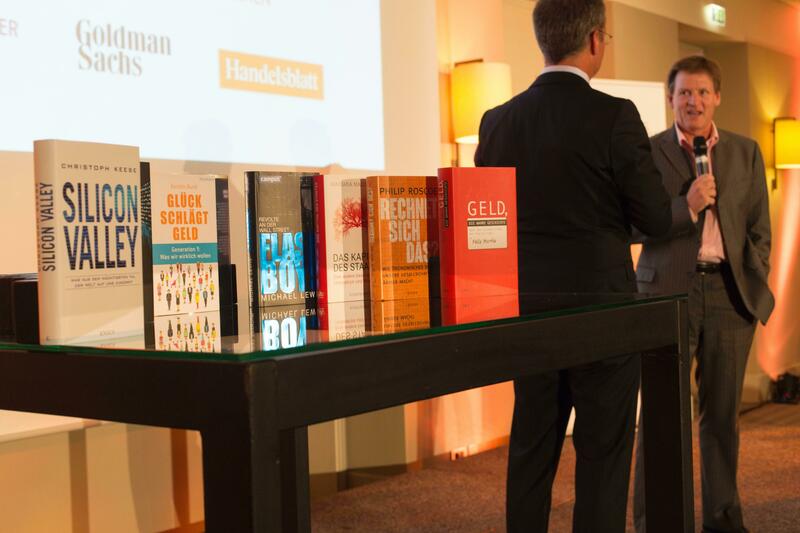 I’ve been shortlisted for the Deutscher Wirtschaftsbuchpreis, an award for non-fiction books on topics related to business, economics and markets, and sponsored by Handelsblatt, the German business daily, and Goldman Sachs. It’s a big deal, presided over by a jury of ten luminaries from the German business world. I’m on the list of ten finalists with, inter alia, Michael Lewis, for Flash Boys, and Thomas Piketty… That’s company! Postscript: Michael Lewis won the prize, and here he is discussing he book at the evening presentation which took place at the Frankfurt Book Fair on 9 October. Take a look at the books on the table, and I’m second from the right. So, having spent plenty of time putting the boot into Stephen Dubner and Steven Levitt’s Freakonomics series, and its silly oversimplification of rational actor theory, it would have been churlish to refuse to review the latest and hopefully last in the franchise – Think Like A Freak. And do you know what? I actually enjoyed it, even with its well worn van Halen anecdote. So here’s the review, published in the THE. THE Think Like a Freak 072014, or, find it online here. I also turned up in THE’s summer reads, looking forward to Michael Lewis’ Flashboys – which I have read – and contemplating a return to Latour’s Pasturiazation of France. Here’s the PDF THE Summer Reads 2014 and the link.